Discover all the answers about your air duct needs in the frequently asked questions list below. Is air duct cleaning a messy process? It can result in a dirty home if some dirt still remains after the cleaning process. Our experts from Air Duct Cleaning Palos Verdes Estates are capable of thoroughly cleaning through the entire system, so there is no risk of any dirt blowing into your home. How can you tell if the HVAC system is properly cleaned? The best way to see if your HVAC system is clean is to visually inspect it yourself. You should ask the technician to visually inspect your duct after he is done with his work. Why must air ducts be sealed? When air ducts are not sealed properly, air will escape through the cracks. Dirt will enter from the same cracks and humidity will possibly increase, depending on where the ducts are installed. Based on the experience of Air Duct Cleaning Palos Verdes Estates, you will lose energy and mold will grow and, thus, you'll need air duct seal repair. What is HVAC air filter MERV? MERV stands for minimum efficiency reporting value. It shows how efficient the air filter is at capturing particles of different types and sizes. The filters with the lowest MERV are the least efficient and have to be replaced most often, every two or three months. While they can capture dust and debris particles, they are not effective at picking pollen, mold and other microorganisms. That is why they are not recommended for households with allergy and asthma sufferers. This is an effective way to ensure that the air ducts will never get accumulated with big piles of dust, pollen and debris. In addition, you can decide how frequently you want to have them cleaned. 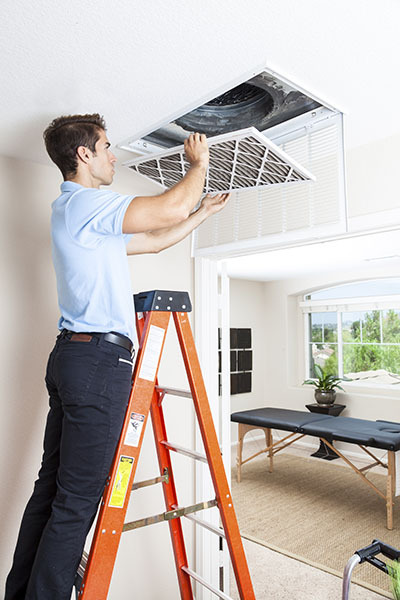 It is not mandatory for each and every maintenance session to involve air duct cleaning. In general, if you have someone (in your home) that suffers from allergies or has a respiratory condition, a more frequent cleaning is recommended.